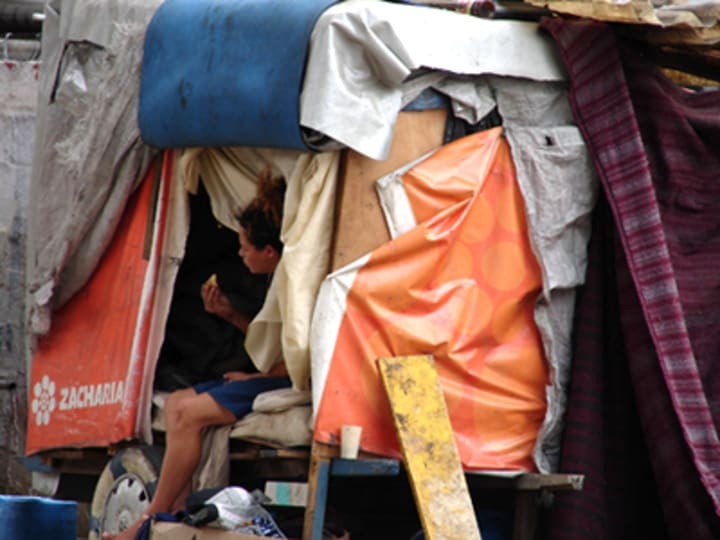 While the world looks toward developing countries for cases of acute poverty, Cristina Diez believes the problem is a silent dearth even in advanced countries. As U.N. representative of the anti-extreme poverty movement ATD Fourth World, Diez helped facilitate the design of five post-2015 development goals proposed by the extreme poor from Belgium, Bolivia, Brazil, Burkina Faso, France, Guatemala, Haiti, Madagascar, Mauritius, the Philippines, Peru and Poland — both developed and developing countries alike — on equality, participatory knowledge-building, decent jobs and social protection floors, equity education and good governance. “More generally, we found that when participants from different countries, and even continents, were able to meet one another, they often found strong common threads when they shared their different experiences,” Diez told Devex. Here are some excerpts from our interview with the experienced volunteer and grassroots activist. Where did the Millennium Development Goals fall short? One of the key weaknesses of the MDGs was the way that they were written without the participation of the people whose lives they were meant to improve. This led to a whole host of problems. Several were based on statistics that were deeply flawed, and failed to take into account millions of people without identity papers or birth certificates. Others were too concerned with quantitative, rather than qualitative data. The MDGs failed to ask important questions about why people were increasingly moving into cities, or what happens when people have an impossible choice between paying for clean water or their child’s education. The effect of creating targets to reduce such phenomena as extreme poverty by percentages, rather than eradicating them, has made life harder for those left behind by development projects that have targeted the easiest to reach, encouraging the stigmatization of people living in extreme poverty as being to blame for not taking advantage of the opportunities made available to them. If they had listened to people living in social exclusion in the global north, the drafters would have recognized that extreme poverty is a universal problem, not just an issue in developing countries. Another key weakness, born out of the way they were put together, was the way the goals failed to encourage proper participation in development projects. As they are, they encourage some countries to push for economic growth to the detriment of people’s fundamental rights, and with no real focus on sustainability. How can these weaknesses be addressed in the post-2015 development agenda? The post-2015 agenda needs to pay much more attention to local knowledge and to the collective experience of people living in extreme poverty. It needs to adapt not just quantitative but qualitative goals, and move away from relying solely on centralized data collection and statistical analysis to encouraging citizen reporting. And it can also address these weaknesses by acknowledging the fundamental place human rights have in any truly sustainable development framework. The framework after the MDGs expire cannot shy away from questions about the implementation of development objectives. It needs to not just be concerned with the ‘what,’ but the ‘how.’ If people living in extreme poverty and social exclusion were able to participate meaningfully in the development projects and programs concerning them, many of the problems caused by the MDGs on the ground could be reversed. This requires a commitment by local and national government and international institutions to promote genuine participation, where people have a say in the planning, implementation and evaluation of policies and projects. What did you think of the points raised in the report of the U.N. post-2015 High-Level Panel? The HLP report has some very good elements. It recognizes that the MDGs did not sufficiently seek to reach people living in the most extreme poverty, those who are the most excluded, and that they did not seriously take into account a comprehensive human rights framework, the importance of good governance and the social, environmental and economic aspects of sustainable development. In talking about the need for “transformative shifts.” it appears to acknowledge that business as usual is not an option. It is also very encouraging that the report calls for the eradication of extreme poverty in its entirety, rather than incrementally, and sees the next development agenda as universal, rather than focused solely on developing countries. However, the translation of this vision into the “illustrative goals and targets” set out in the annexes is much more problematic, and leads to questions about whether the “shifts” mentioned in the main section are sufficiently transformative, and whether their implementation will really have the desired results. The repeated use of what appear to be percentage-based goals is particularly worrying. It is also unfortunate that the report uses an indicator for extreme poverty which contradicts its desire for universality. Measuring extreme poverty by the $1.25 per-day threshold is simplistic and misleading: it renders extreme poverty in developed countries invisible. On a final note, when the report discusses forging a new global partnership, it is a pity that it does not emphasize how important it is that all those affected by the post-2015 agenda can participate properly in its construction and implementation.